Hope you are having a wonderful weekend. Here are my cards I have to show you today. 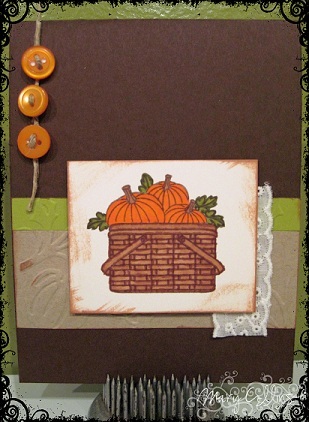 Next up is a little card that I did for today's Clean and Simple challenge at Christian Paper Crafts. By combining it with the awesome sketch at 2 Sketches 4 You and adding the colors from Color Dare in, I am so tickled with the cute response! Even though Winter does not officially start until sometime in December, at my house, we are already starting to fade away from Fall and into the Christmas spirit and mood! 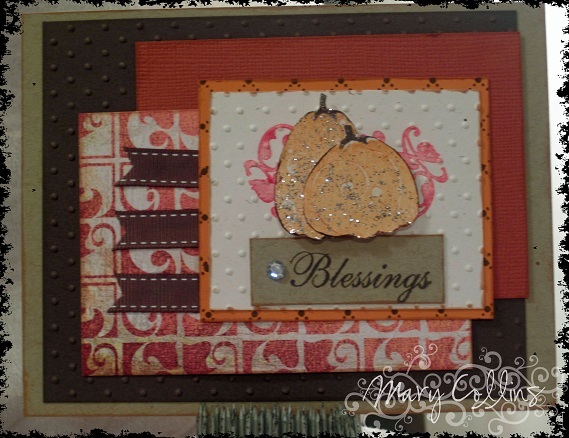 It's kind of a stretch for me to be still making Fall cards when I have visions of nativity scenes, reds, greens, etc... floating around in my mind! Hey - it's the middle of the work week!! Sometimes in this busy life, we tend to get so wrapped up in everything going on in the world and have to remind ourselves of how abundantly blessed we really are. 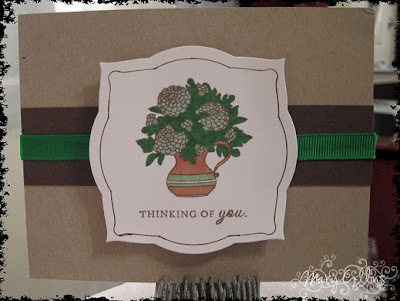 For my Facebook friends and I, we have challenged ourselves to post a thankful post everyday! It really helps put things in perspective when you read back upon what you have written. 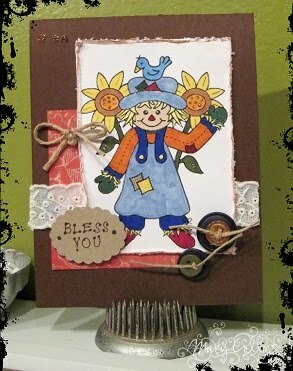 On the same topic of those posts, they got me to thinking of a cardfor today's Sketch Tuesdy at Christian Paper Crafts, so I decided to go with a blessings card. The colors are from the wonderful Color Combo this week found at Stacey's Stamping Stage Curatin Call Color Challenge. I hope your week is going splendid! Remember to count those blessings! It seems as if we have skipped Fall here in our little neck of the woods and went straight into Winter! The cold temperatures we have been getting in the nights are already down around the 20 degree marks which is much too cold for my liking! Thankfully there is a nice, warm fireplace right outside the doors of the scrapbook room that makes everything nice and toasty for some warm paper-crafting days! 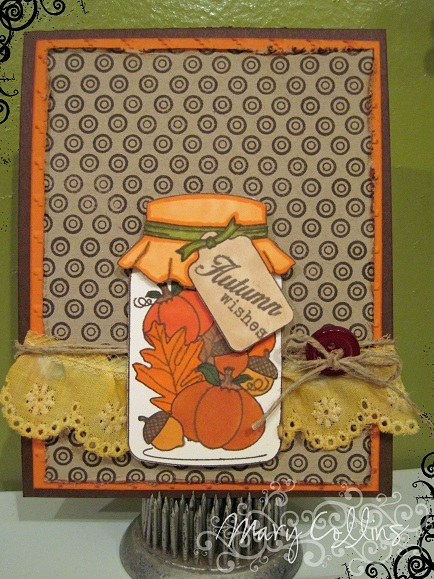 First up is the 2nd CAS (Clean and Simply) Challenge at Christian Paper Crafts. 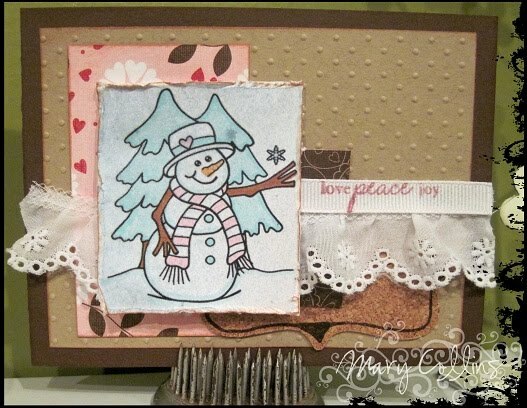 I thought a little Christmas card would be cute since I never seem to get all of mine made! 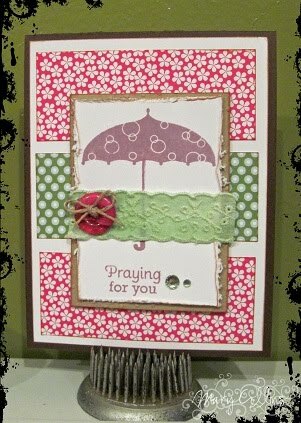 Next up is today's Color Monday challenge at Christian Paper Crafts, combined with the Sketch from Sketch Saturday! 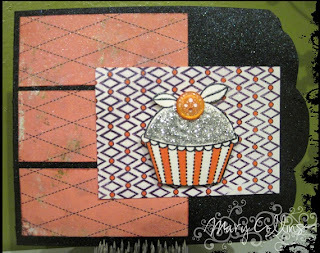 What a cute (and sparkly) combination they make when combined together! Have a wonderful week, and try to stay warm! With Abby already wanting to put the Christmas tree up, you kind of have to get in the Christmas mood pretty quick! I guess the forecast of snow for today doesn't hurt either! So with that being said - Christmas cards are on my agenda lately. 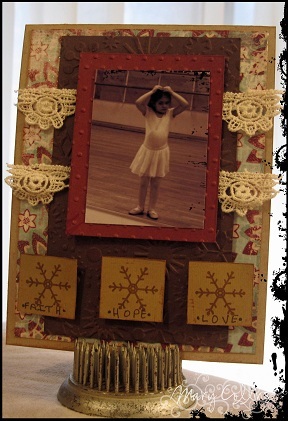 Good thing since I a hosting a Christmas Card Workshop tomorrow to benefit our Church's Relay for Life team. For today though... Yesterday's Bible Verse Thursday at Christian Paper Crafts was all about adding some glitter and glitz to your card with the Bible Verse of your choice! 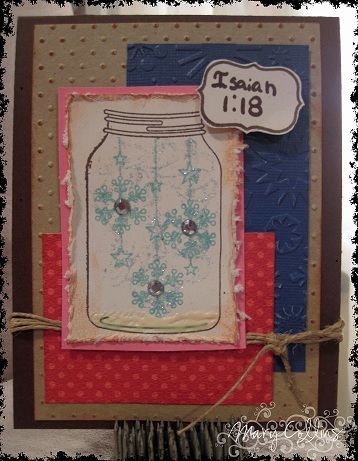 Wanting to make a Winter card, I decided to go for the verse from Isaiah 1:18 for a little spiritual emphasis to the snow! I decided to combine it with today's Fun on Friday to create this little card... The sketch is from SplitCoastStampers for this week and the colors are inspired from the image at the Shabby Tea Room. Earlier this week, I was pretty busy making a presentation board for work and didn't get to play along with the Wednesday CASE artist. 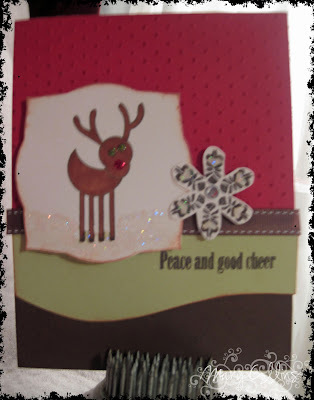 I decided to make yet another Christmas card... The sketch is from the wonderful JOyc3's gallery at Christian Paper Crafts. 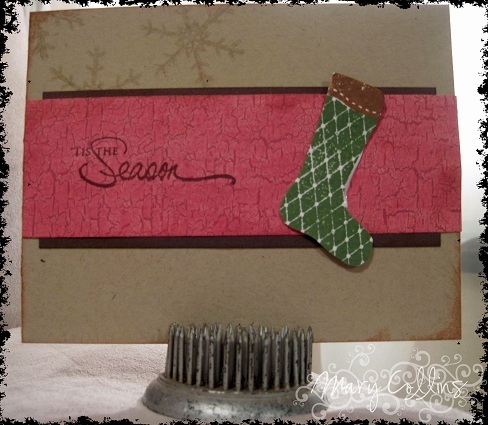 SplitCoastStampers﻿ way to use it challenge was about ways to use your green this week. 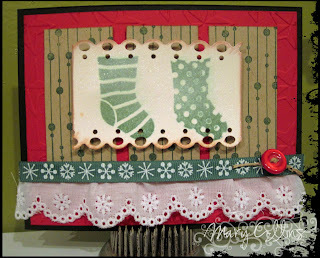 My favorite way is of course to add it with red and make a Christmas card! Hope you have a wonderful weekend! Check back tomorrow for another day of Christian Paper Crafts new clean and simple challenge. I totally can not believe that it is already November! Surely we just returned from the beach just the other day, didn't we? I hope your week is going wonderfully! My sweet hubby has the week off and is getting to spend it home with our precious little one. Oh, trust me, I have been fighting off the pangs of jealousy and the bits of sadness that I will not be sharing this fun time with them this week... But, work it is for me! Have a wonderful week and beginning of November! Perhaps you think this word is just for Christmas, right? Actually it is Hallelujah Night at our church tonight since we do not celebrate Halloween! I can't wait for all of the fun, food, games, and fellowship! 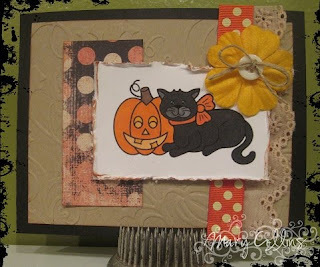 My card for you today has nothing to do with the traditional oranges and blacks of normal for this season, but more red, brown, and green. 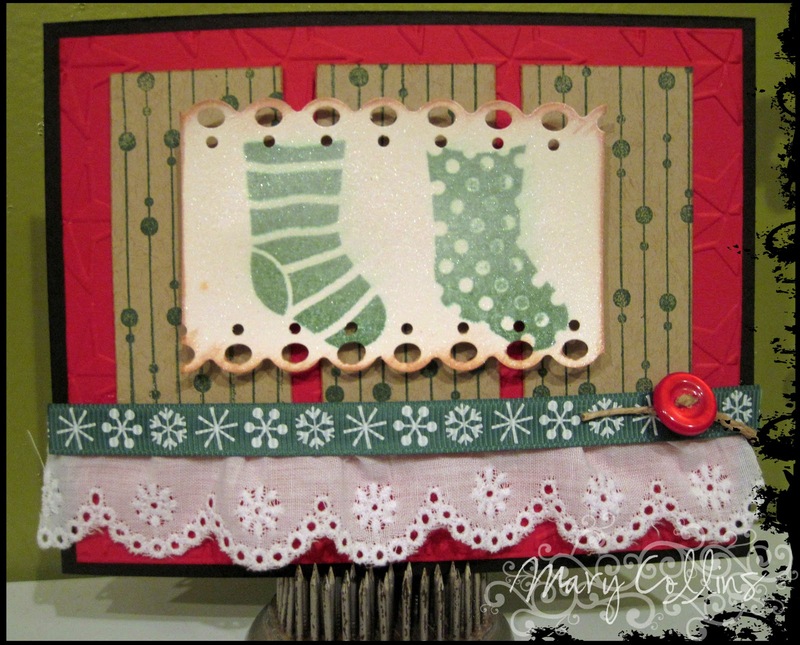 To me, these colors can work for Fall or Christmas, depending on the images you pair them with and how you whip it into shape! Fun on Friday at Christian Paper Crafts was all about buttons and I am all about that! Here is what I came up with! 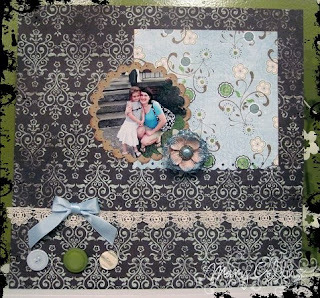 I even chaged my color of green around a little for it to match the Color Monday challenge there as well! The lovely sketch is from the ever so wonderful Sweet Sunday Sketches. 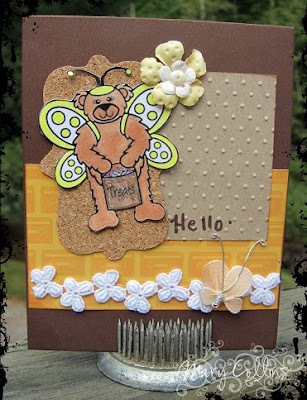 Wednesday is CASE Artist Day at Christian Paper Crafts, and with our new direction, we have decided to take one Wednesday a month to CASE one of our Partner Companies who are so gracious to us! As the first Wednesday CASE Artist date rolled around, there was no doubt in my mind of who to CASE - our very own CINDY, who has done so much for us! 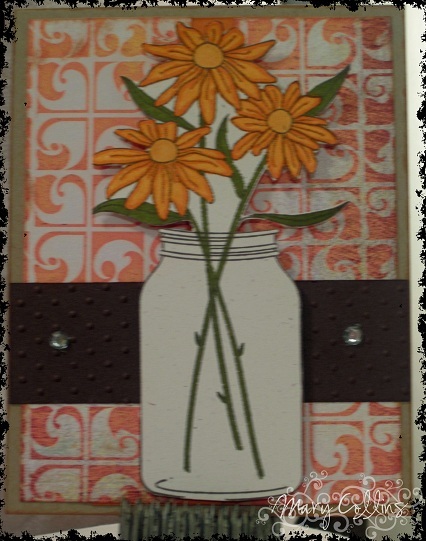 Click here to see the card in Cindy's gallery at Christian Paper Crafts. You'll quickly notice the card that Abby chose for me to CASE. 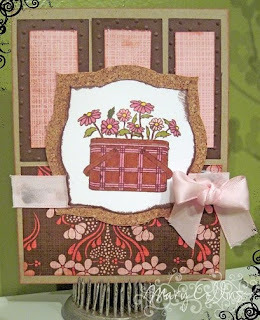 The lovely sketch is from Sweet Sunday Sketches! 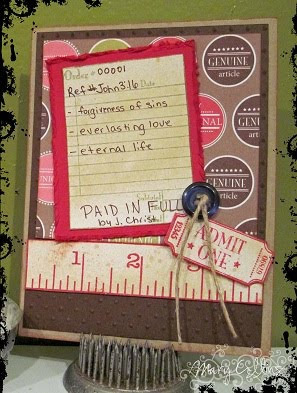 We truly do love you and thank God for you Cindy! Have a wonderful day! And God Bless You!! Good morning! The colors of Fall finally seem to be arriving in our neck of the woods with the crisp leaves quickly falling! 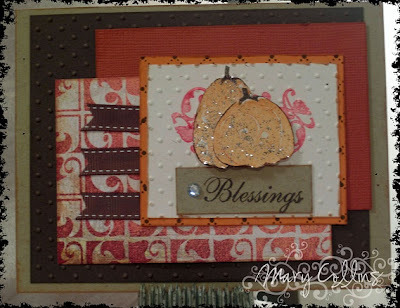 Autumn has such rich colors, this challenge from Color Throwdown immediately made me think of the precious colors we are seeing in God's world! 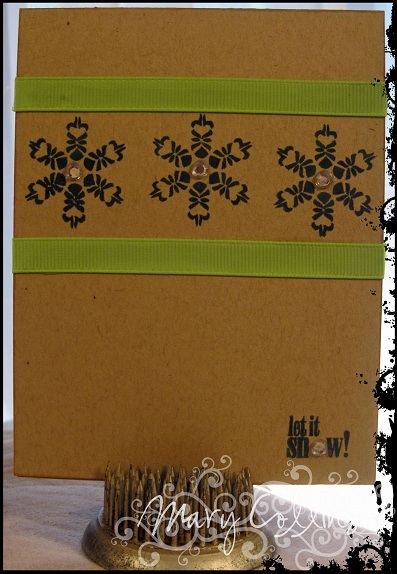 The sketch is from last week at Christian Paper Crafts, be sure to check the new one out over there today! If you are needing a little boost to help you out in making your Christmas cards, check out Miss Boo's Color Monday challenge over at Christian Paper Crafts today! Definately an answer to the lack of MOJO I've been feeling! Add that with the wonderful sketch from Card Patterns and here is one of my first Christmas cards of the year! Have a wonderful day! I hope your week gets off to a wonderful start! Today is my Daddy's Birthday! He really is the best daddy in the world, and I am so blessed to have him as mine! 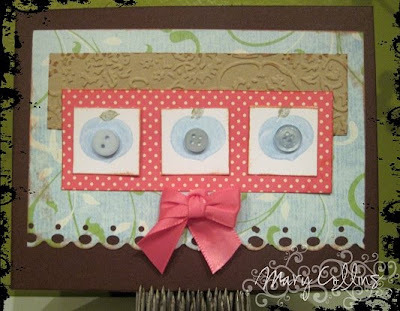 Being a total girly girl, my daddy always gets the girliest cards from me even though I try not to make them that way... This is the most masculine card I could sum up for this year! Of course it may be cheating a little bit since I had to use Halloween colors to pull it off :o) Ahh, the joys of an October birthday. 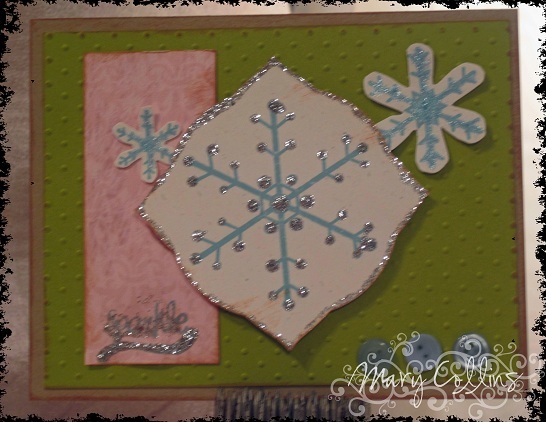 And I just had to add some sparkle for the Sweet Stop Sketch Challenge this week! Good Morning! How are you liking the nice Fall weather? 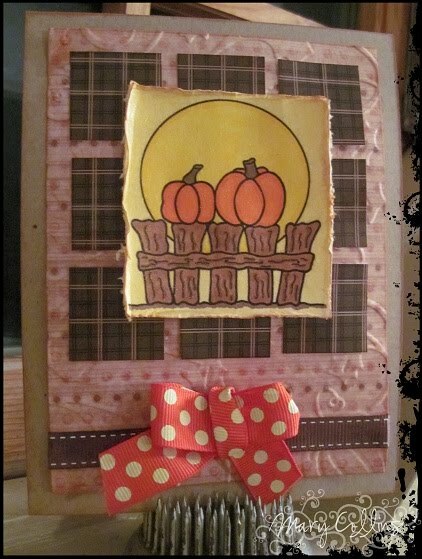 Here is my page for the Scripture Saturday challenge over at Christian Paper Crafts last week. 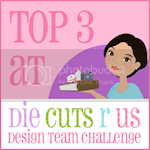 There is a new challenge that just went up today, so be sure to stop by and play along! 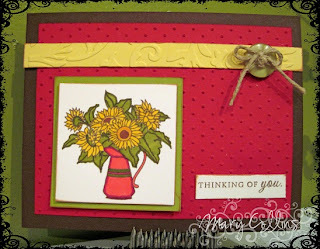 Next up, is a little card I made with some new PaperTreyInk goodies! It is for the Color Monday challenge #78. And the current sketch challenge at 2Sketches4You! Hope you have a wonderful day and blessed weekend! Today I have a little card for you using this lovely little flower (Weeds & Wildflowers) from Deedee's Digis! Don't you just love it! 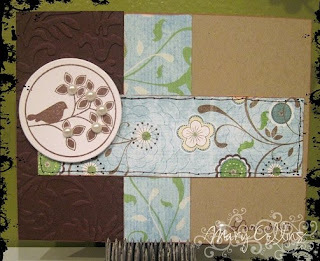 To make it go along with the Bible Verse Challenge over at Christian Paper Crafts today for Summer Time, I used these colors which are also from the Color ThrowDown Challenge this week. 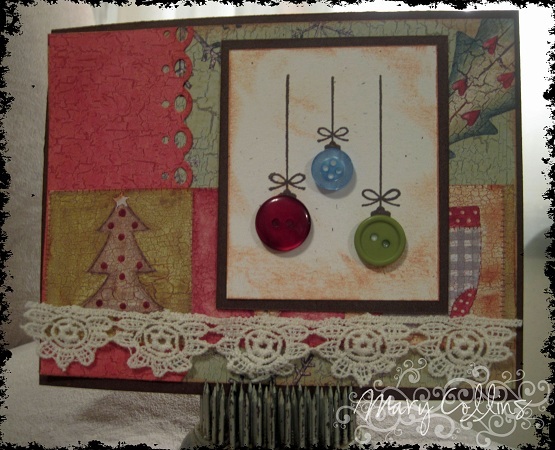 I think this set will look wonderful with harvest colors, or even shades of red for Christmas! 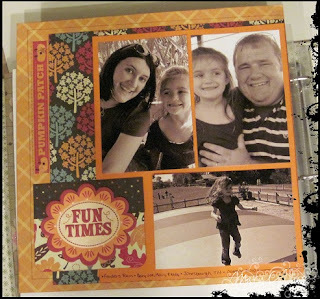 I also decided to try the recipe challenge over at Fab n Funky and use three papers, two embellishments, and one image. Oh and the sketch, that lovely little number is from the Diva Coffee Break gang! Thank you for stopping in today! See you tomorrow! Welcome to Wednesday my darlings! 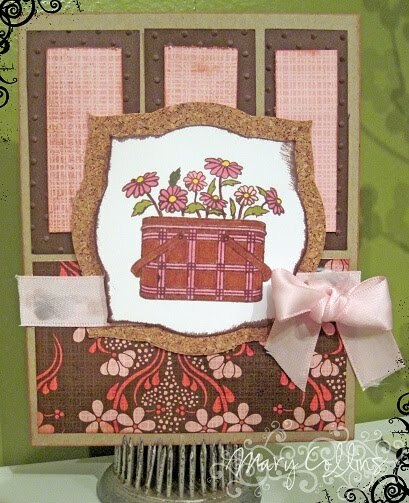 Today is the regular Case Artist Day over at Christian Paper Crafts and you want to be sure to check that out! 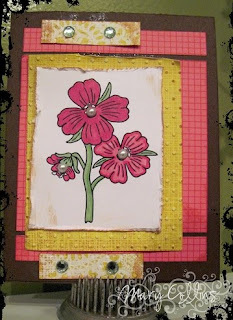 I decided to copy the layout of a card found in today's featured artist, Charlotte Odom's gallery. With all of the hot weather we have been having lately, I loved seeing the temperature actually drop down to the uppper 70's and mid 80's during these past few days! 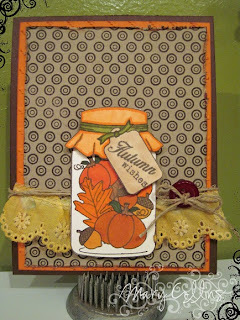 It really has me in the mood for Fall to wake up to a good cripsy morning! This cute little guy is from Deedee's Digis, and the sketch is from Sweet Stop Sketches! 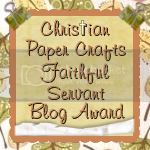 Don't forget that today is Bible Verse Thursday over at Christian Paper Crafts, where today's theme is time. 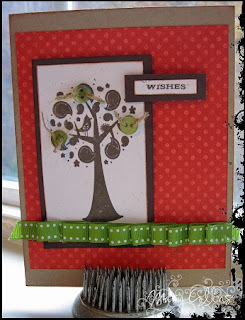 The sentiment for the inside of my card is none other than a verse from Ecclesiates 3:1.